The notion of processes for low-level Petri nets based on occurrence nets is well known and it represents the basis for the study of the non-sequential behavior of Petri nets. Processes for high-level nets N are often defined as processes of the low level net Flat(N) which is obtained from N via a construction called “flattening”. In this paper we define high-level processes for high-level nets based on a suitable notion of high-level occurrence nets. The flattening of a high-level occurrence net is in general not a low-level occurrence net, due to so called “assignment conflicts” in the high-level net. The main technical result is a syntactical characterization of assignment conflicts. But the main focus of this paper is a conceptual discussion of future perspectives of high-level net processes includingc oncurrency and data type aspects. Specifically, in the second part of the paper, we discuss possible extensions of high-level net processes, which are formally introduced for algebraic high-level nets in the first part of this paper. 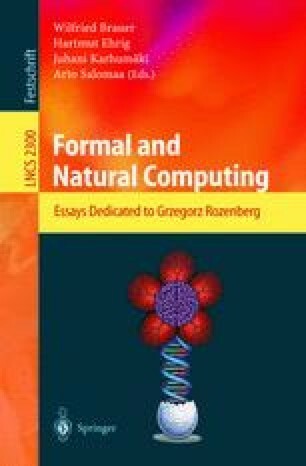 Of special interest are high-level processes with data type behavior, amalgamation, and other kinds of constructions, which are essential aspects for a proposed component concept for high-level nets.